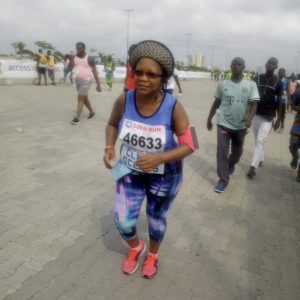 On 02 February, 2019, our Managing Partner, Mrs. Mfon Ekong Usoro, ran the 3rd Annual Access Bank 10km Lagos City Marathon race to create awareness for clean oceans and the need to recycle plastics. 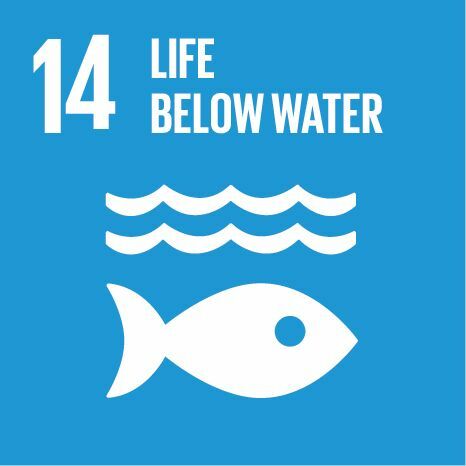 One of the United Nations’ Sustainable Development Goals is to manage and protect the life below water. However, a looming threat to sustaining aquatic life is the preponderance marine litter, especially plastics in the oceans. Not only does it endanger marine life, it threatens human health and existence, including the lives of over three billion people, who depend on diverse coastal and marine resources for their livelihood. This environmental issue has a long-lasting effect, as majority of the plastics are not biodegradable. A report by the United Nations places the financial damage caused by plastic waste at about $13 Billion per year. According to the Ellen MacArthur Foundation, by 2050, marine plastics will outweigh fish in the world’s oceans. (To put this into perspective, the World Atlas estimates the number of fish to about 3.5 trillion.) 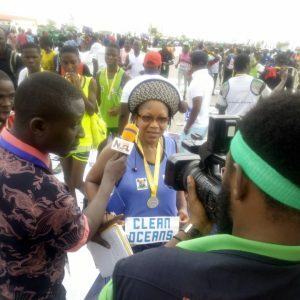 The preponderance of marine plastics is simply not a “world problem”, but also a Nigerian problem, as a considerable number of our water bodies are heavily polluted. 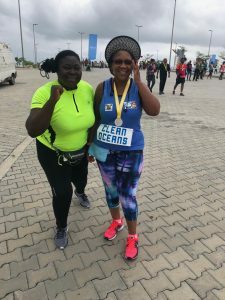 In fact, Nigeria ranks among the top 12 countries polluting the oceans the most. 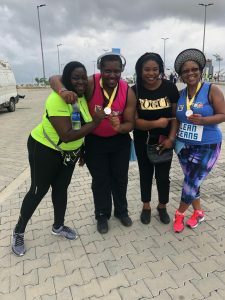 Therefore, our Managing Partner saw an opportunity in the Lagos City Marathon 10km race to raise the needed awareness of the grave ecological damage marine plastics inflicts. 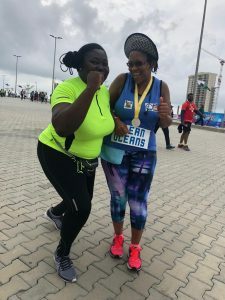 Her participation also exploits the opportunity to call for compliance with marine environmental regulations, and jerking the consciousness of everyone to play their part in sustainably managing and protecting the oceans.